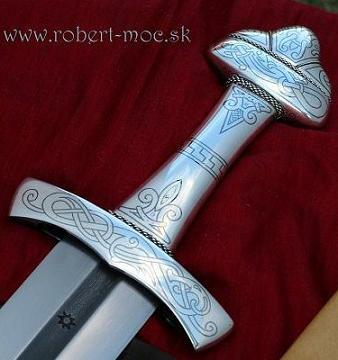 I'm not a Viking sword guy, but I have to say that you have a beautiful sword there.. We need specs and more photos. Wow Tim, another beautiful one for you! Where do you go from here? JD- Good question...I have a few projects underway for some other viking stuff but after that...? 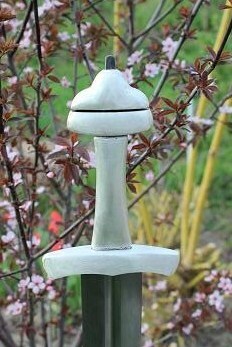 I usually don't go for all metal hilts for this period, but I have to say, that's very eye catching. Very nice. Congratulations to both you Tim and to Robert! Very happy to see such dedication from both customer and maker. All metal niello hilts are fairly new to me. This is clearly an exceptional work all the way around. Looking forward to Peter's comments once he has it in hand. It's particularly nice to see such a lovely scabbard where decorative restraint is applied. The sword is complimented and not overwhelmed. Very thoughtful. Oh, and we'll have to give your parking space to someone else for the time-being. This is an outrage! Not my parking space! "All iron hilt is hollow and decorated with silver plating and niello in Urnes style animal motives". 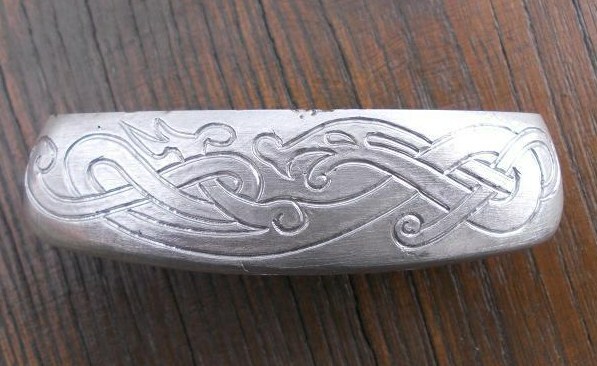 It wasn't rare at all towards the end of the Viking Age to have all metal hilts. The metal is quite thin, but still strong enough not to worry about damaging it. The progress photos that Robert sent me while making it give a rough idea about it's construction. It's a hell of a sword!